Crown Products, the innovative company that promotes clean living products has done it again! 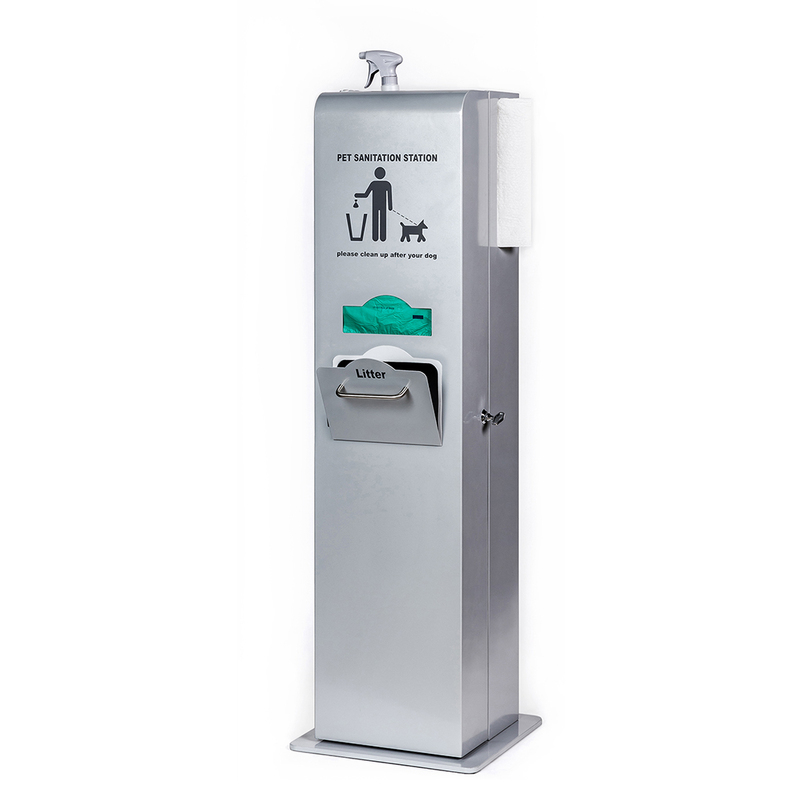 While it’s common to pick up pet waste outside, what if your pet cannot make it outdoors and has an accident indoors? Our NEW Indoor Pet Sanitation Station is the complete solution to help you clean up dog poop and urination, while disposing of it in the included concealed receptacle. 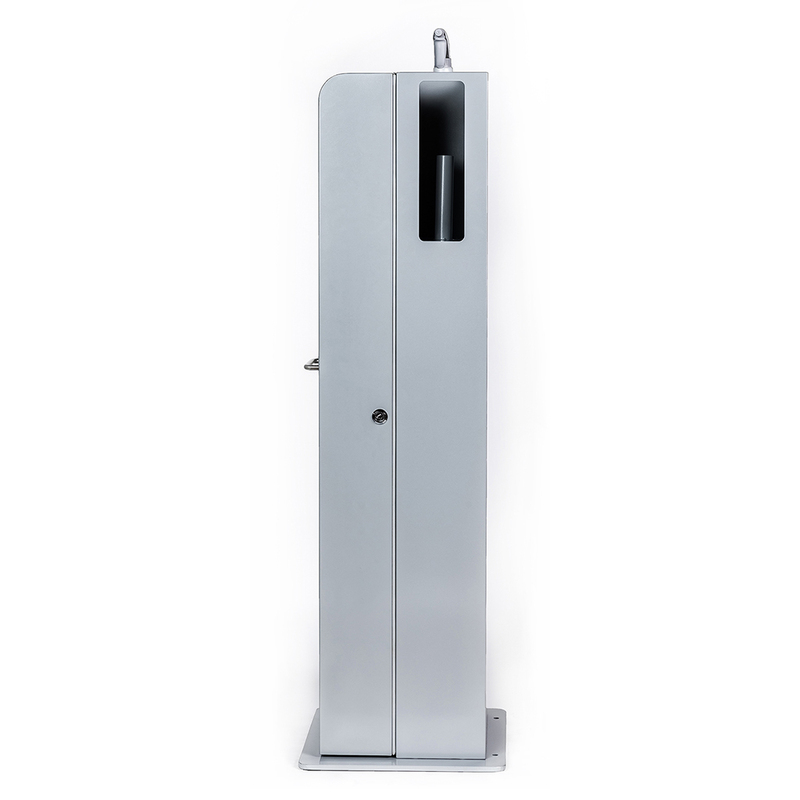 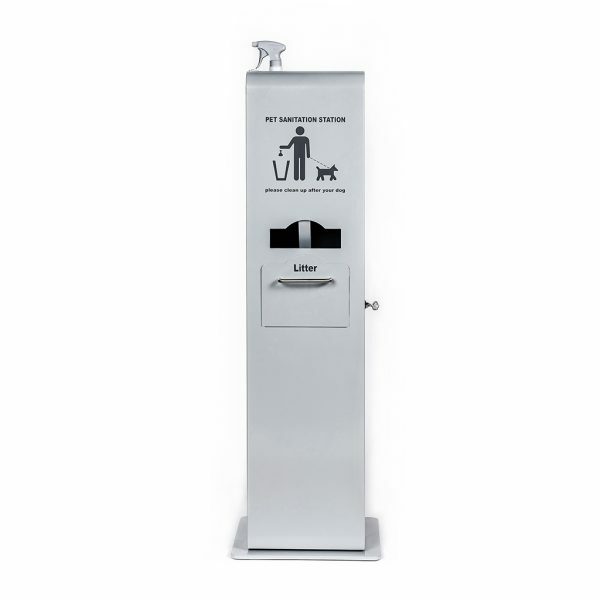 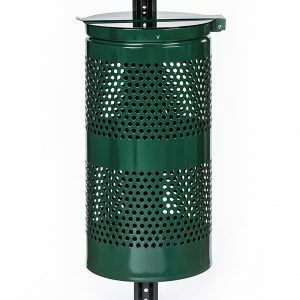 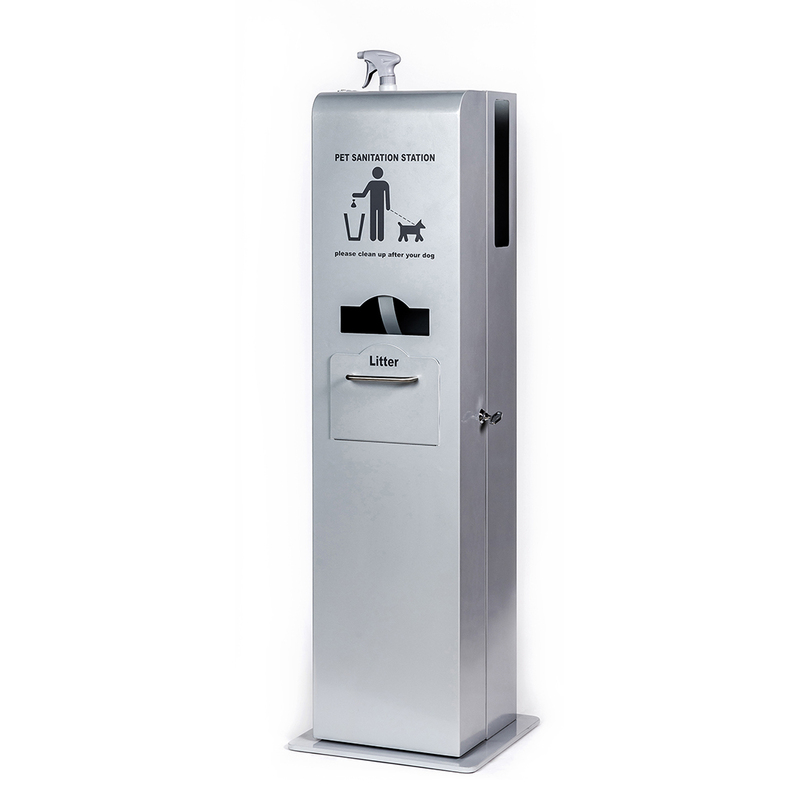 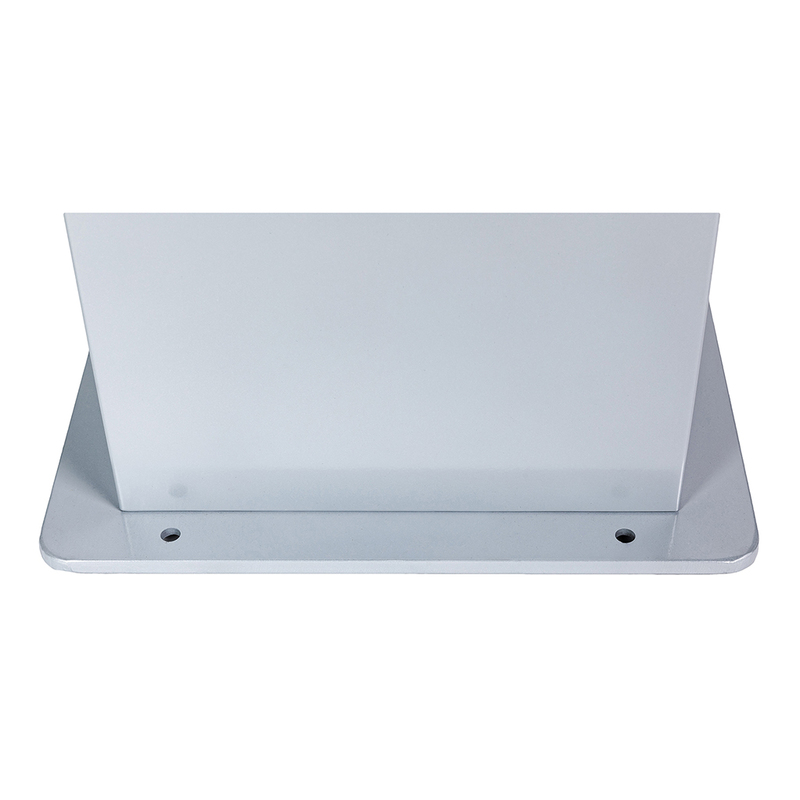 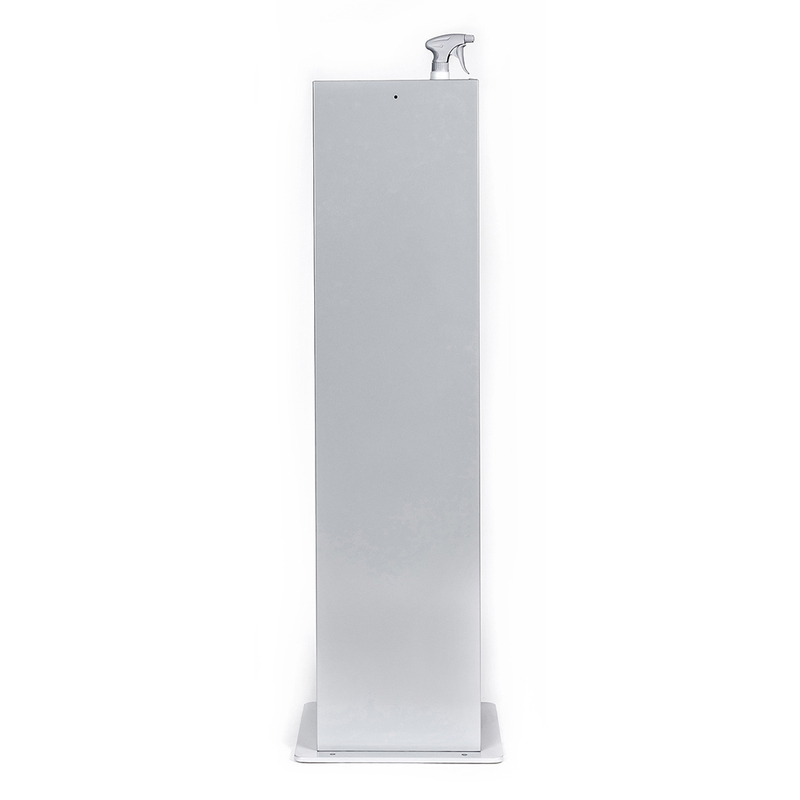 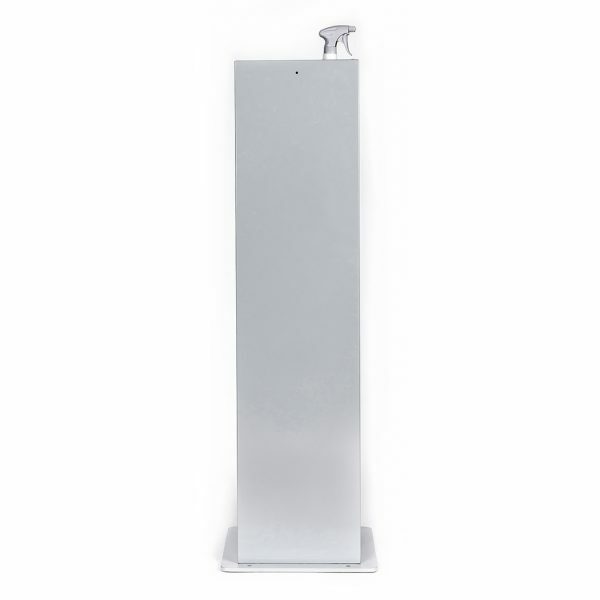 Made of high quality galvanized powder coated steel, this sleekly designed, free-standing pet waste bag station looks great in any indoor location. 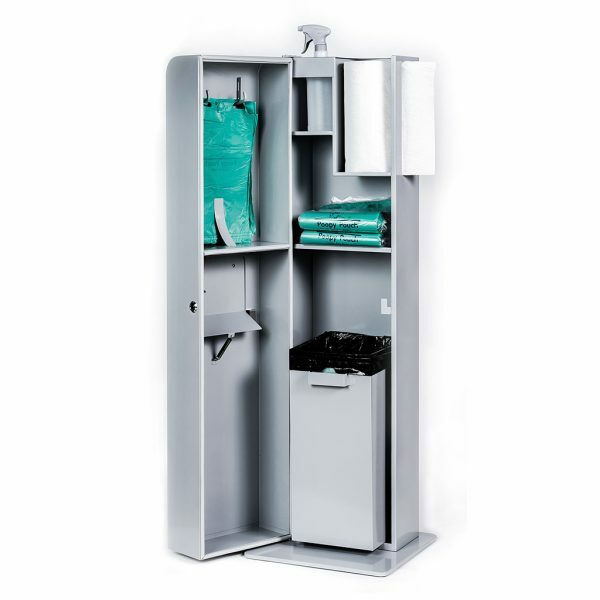 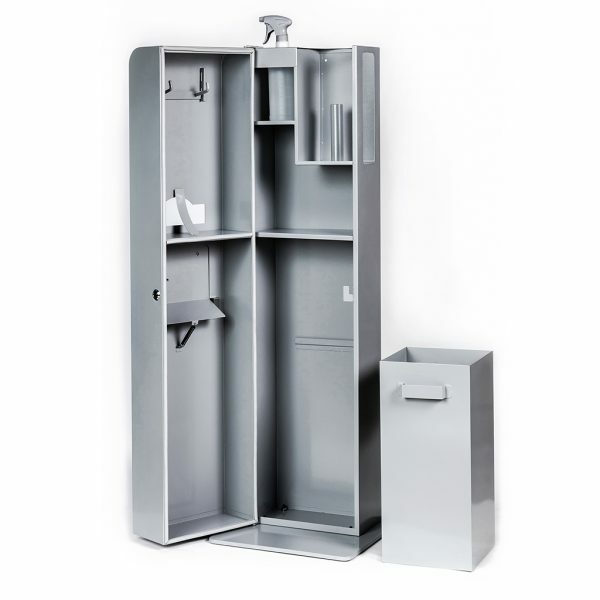 The Pet Sanitation Station contains all the supplies you’ll need in one convenient place, to promote a healthy environment and all around germ protection. 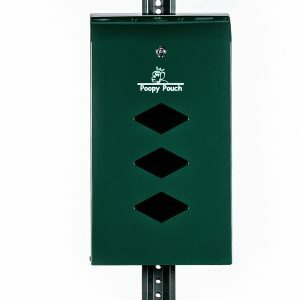 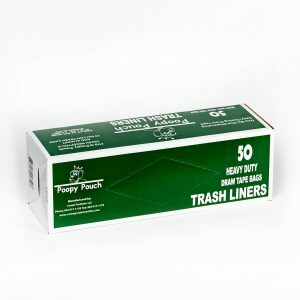 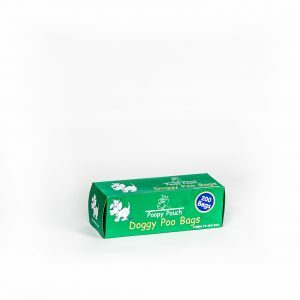 You have come to love the Poopy Pouch brand for the outdoors, now you can have the ultimate indoor system for cleaning up after your pet.